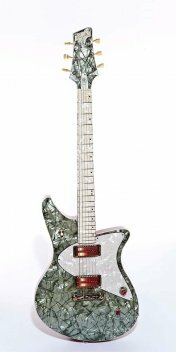 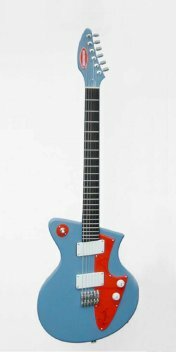 When I started building instruments more than 35 years ago, it was with electric guitars. 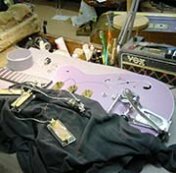 And even though our primary focus has been on acoustic flattops and archtops for many years now, I’m still an electric guitarist and pedal junky myself, so I continue to enjoy building electrics. 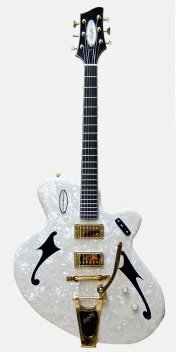 Most are custom orders, but we also have a few models, ones that we haven’t gotten bored with, that we offer as part of our standard lineup. 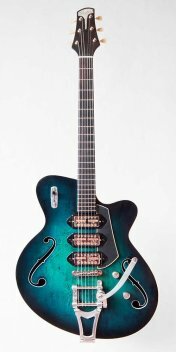 All electrics can be ordered with either 24.75-inch (Gibson) or 25.5 (Fender) scale.